Haawa! Thank you! To everyone who came out tonight! ... if not fraught with technical difficulties - the projector at the Heritage Centre wouldn't turn on, so the art teacher from Gid Gaalang Kuuyas Naay drove back to the school to get their projector and speakers - big Haawa to James Reid! The show must go on! 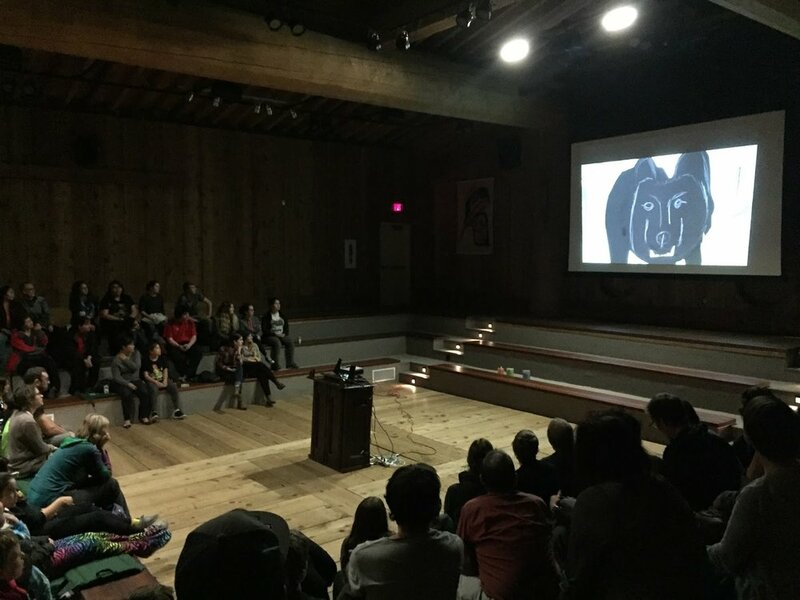 It was a full house, with families driving all the way from Masset to support the young filmmakers! 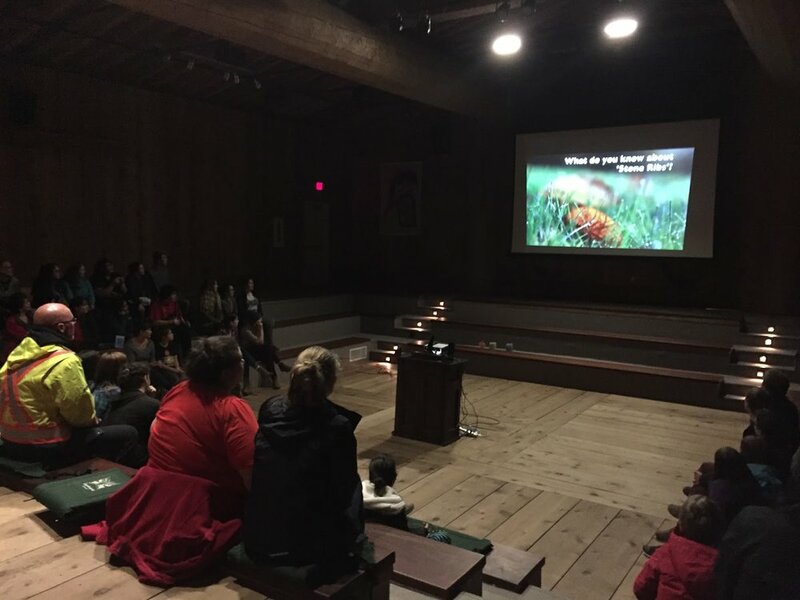 Pizza and juice was served and the films were well received! So many parents, friends and family members came out and made the whole night special. It was an honour to work with the young filmmakers and we hope to do it all again soon!